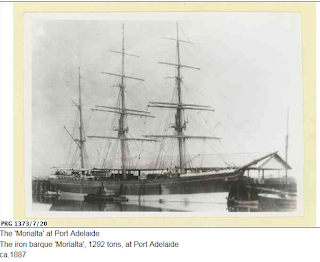 Laurie Schell, Laura Schell, Lalashelley, La Rochelle – How many different ships were there with these similar names? These were the names for one and the same ship as handed down through families and recorded in bibles, obituaries and other newspaper and magazine articles. The ship was named the La Rochelle, commemorating a seaport in western France. The names took on an added veracity because of the purported origin from the immigrants themselves and frequent repetition. arrived in Queensland on the Larlashelley. 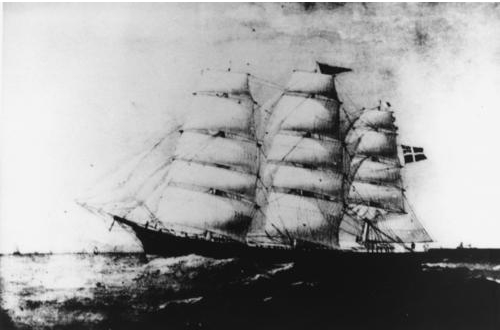 The La Rochelle brought German immigrants from Hamburg on 4 journeys: 1862-1865. The 1865 passage was particularly notable for the outbreak of typhus into which there was a government enquiry and a report in 1866 which can be read in the Votes and Proceedings of the Queensland Legislative Assembly (pp 1015-1021) at the State Library. The immigrants, mostly poor and unprepared for the immigration experience, were commended for their patience and endurance in a situation where little care was taken of them. The name of the vessel would have been passed on orally among the passengers from imitating the flow of the sound to their ears and creating a word or words closer to the familiar German. How can the real name of the ship be determined? The ship name on the official passenger list is a principal guide. Many immigration lists have now been indexed. Check these indexes in every Australian colony/state if necessary. One researcher looking for family on a Victorian list always put in the ship name King of the Algiers. It was not until he searched by his ancestor’s surname only that he discovered the ship was King of Algeria. He also learnt that the name Ellen had become Helen on the list, a common confusion. The Lusitania became the much more familiar Italian sounding Luisa Tania to one European family. 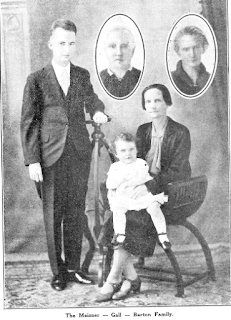 The search was complicated by a belief that the family member had changed his name to escape an undesirable situation. Some Germans called the Catteaux Wattell – the Kudderwaddell. The British had many immigrant ships with Indian names reflecting their wide colonial interests. The Nourmahal of 1879 became the English sounding Norman Hall according to someone’s ears. The Rajahgopaul of 1852 became Rogetdepaul for another family, nearer to Vincent de Paul, a well-known saint. Even government records vary. The Rajahgopaul (Lloyd’s Register 1852) became the Rajah of Gopaul on a Queensland list. The problem can be complicated further. Mrs Elisabeth Schulz, according to her obituary, arrived on the Morialty in 1882 with her parents, the Boettchers. A check of the shipping lists shows the family name as Bottcher and the ship as the British Consul, a very different name, not just a minor spelling variant. What happened? 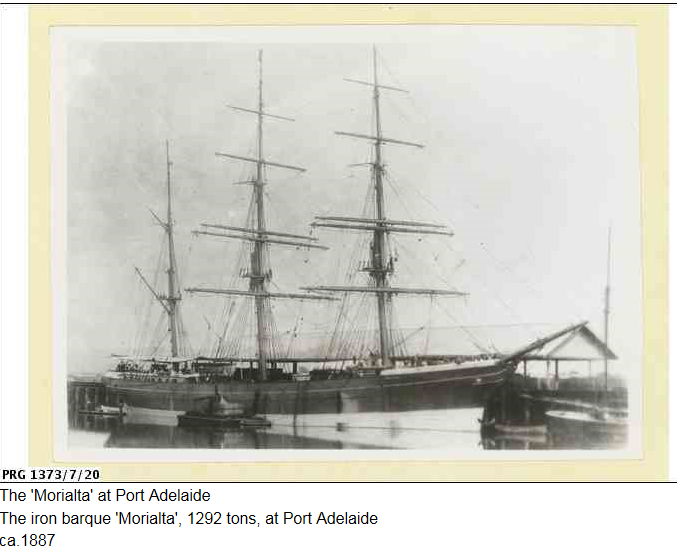 The Queensland newspapers of early 1882 report the vessel as Morialta (late British Consul). This is the same reference Lloyd’s register gives. The ship name had changed! Immigrant ship and passenger names are a minefield of variations. Sometimes you need to check with someone in your society or library with specific experience in this area to seek clarification. These specialists often can be identified by the way they mutter to themselves, repeating words, emphasising different syllables, breaking sounds down and running them together! Many thanks to Stephanie who is our guest blogger for the 5th Monday in February, which falls on 29 February in 2016.